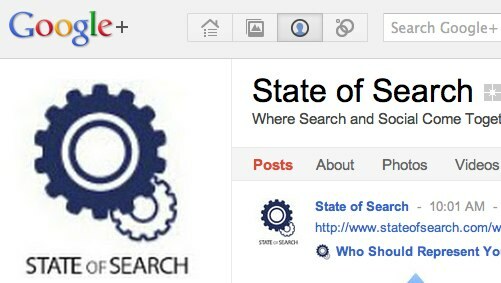 It has taken Google a while, but finally it is here: Google+ Pages for Businesses. Yesterday Google officially launched the new Google+ Pages. In the next two days everybody will get access to the feature we have all been waiting for. We are already seeing a lot of people creating business pages at the moment and a lot of blogs blogging about it, so it doesn’t make sense for us to discuss the same. Instead we will try and give you a quick overview of what has been written and we will highlight a few things. Off course you can also take a look at our very own Google+ Page which we set up as soon as it became available to us. So what does Google+ Pages mean for us? Is this what Google+ needs? Is this going to be the Facebook killer? If you look at what the pages now do, it won’t be. It is setup pretty simple, with no extra features compared to a Facebook Page for example. You can add your content, set up your profile and that’s about it. You can expect Google to be rolling out more features in the near future, but if this is it, it kind of feels like expectations are not met. At this point of time it is just another social network to keep up with for businesses and another way for marketers to push their content. The changes for Google however lie in the brands. Brands now want to claim their brand name quickly, making sure that it gives yet another boost to the visits on Google+. Many brands which were first to set up their Google Plus pages saw very rapid rise in followers in the first 12 hours. There is one peculiar thing about brands and Pages though. There is no verification for somebody to actually set up a page. You just type in the name you want and off you go. There is no check, no verification whether or not you actually belong to that brand, you can just sign up. But that is something which only seems to be a reaction. You can claim it and then Google can act on it. That can mean a lot of work for Google if spammers get in there. On top of that, it will not be a problem for bigger brands like Apple for example, but it could be an issue for the smaller ones who do not have all the resources to claim this. The Next Web – Did Google+ just bury Twitter with its Pages launch? So, can we say Google made a huge impact yesterday by launching the business pages? If you would simply look at the number of businesses creating profiles in the first 24 hours you would probably say yes, but if you look a bit further the answer has to be “no”. It is there, but really, why did Google have to work so hard on this? These are the same as ‘regular’ plus pages. There is hardly any technological innovation here. Go check out our Google+ Page and stay tuned for the opinions of those in the industry!